A long time ago a friend of mine gave me a vintage t-shirt catalog from Stanley Mouse's Mouse Studios. 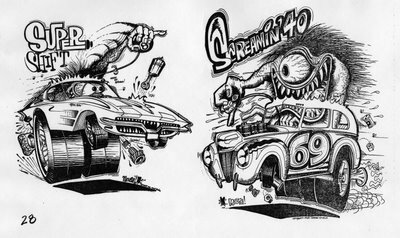 Mouse was a contemporary and a rival of Big Daddy Roth, and his artwork is just fantastic. I've never seen this stuff anywhere else, so I thought I'd scan it and put some up to share. If you know anything about it, please drop me a note or leave a comment, or post links in places where people who appreciate this kind of thing might see it. I think this catalog is a pretty rare item. Here's the first few scans - I will put up more soon. Awesome. I'd love to see more, i've been hunting for more Stanley Mouse early work for a while! Mouse is mainly known for his SF rock concert posters & work for the not anywhere as cool as monster hot-rods Grateful Dead. Hey Angelo - sorry but I don't have any t-shirts to sell. This was a catalog from the early 1970's, when Mouse himself sold t-shirts by mail. I've never even seen one of these shirts, I just have the catalog (it's not even completely original, some pages are xeroxes). Your best option download the images and make your own shirts. You can buy heat-transfer paper that goes in a computer printer and make your own iron-ons! I have a complete catalog by Mouse, No.5 It's 50 pages, color cover with black and white images inside, even an order sheet. i do not know the year it was published but the copyright is 1963. 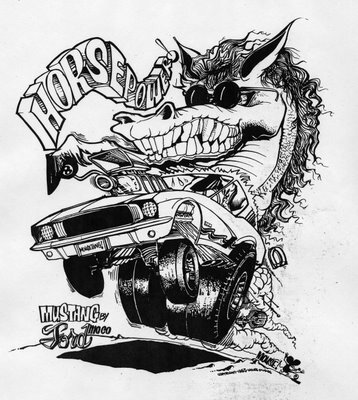 Hotrods, Bikes Sports Cars, Boats and Miscellaneous. On the first page the lower right corner is cut out, might have been an image too. Anyway its some really cool artwork. T Shirts like these would be awesome. hiya ,you have some cool stuff here,you gonna put any more up? I'm familiar with Mouse'early "weirdo" artwork and have several of his early catalogs from the late 50's and early 60's.The 1963 catolog is large,magazine size ,50 pages and a color cover.I also have a couple of his shirts and his 3 plastic model kits.Mouse and Roth were the guys who got me into airbrushing years ago! I Love Stanley Mouse artwork. I have a shirt that was done by Stanley Mouse at the Detroit Auto Show way back in 1958 or 59. Its called HOT TO TROT. 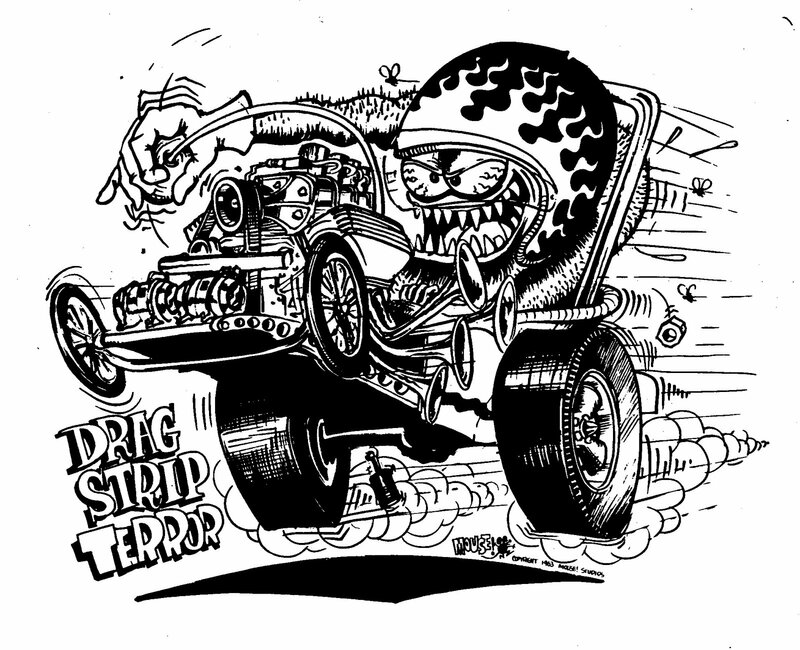 Monster driving a hot rod. Never worn or washed and in MINT condition still in the plastic bag. I'm interested in music apps as a new medium for music promotion and sales. I'll be covering apps that fit a certain set of criteria - being representative of a music artist, containing music, and being an experience rather than pure promotion.